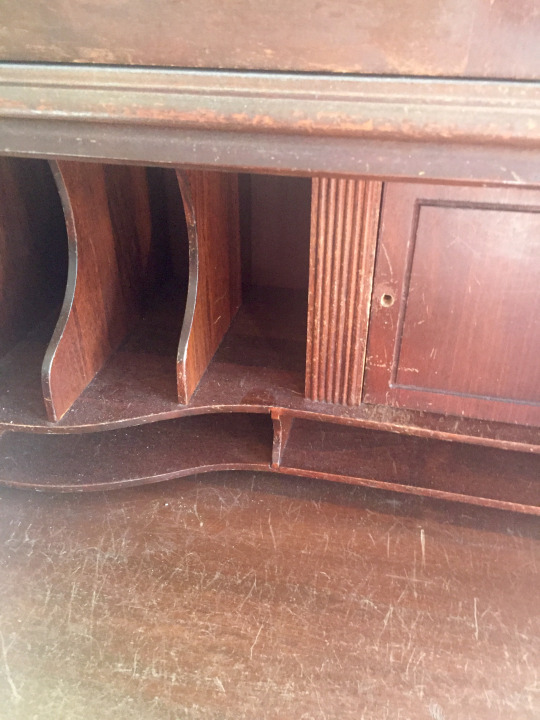 Antique secretaries are pieces I typically don’t make over. They have so many nooks and crannies, that they can be difficult to restore. However, this cutie spoke to me, and when an antique speaks, I listen! Plus, his small size and nice bone structure was hard to resist. 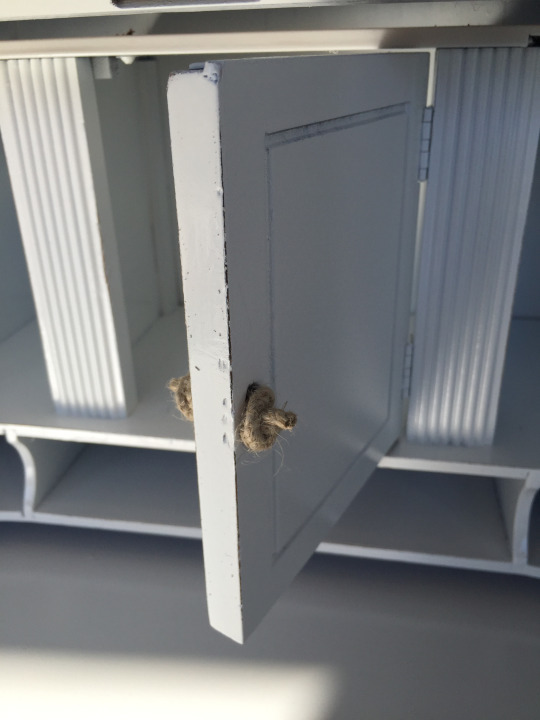 You could practically blow off the old finish, but the structure was solid. All this baby needed was some love. 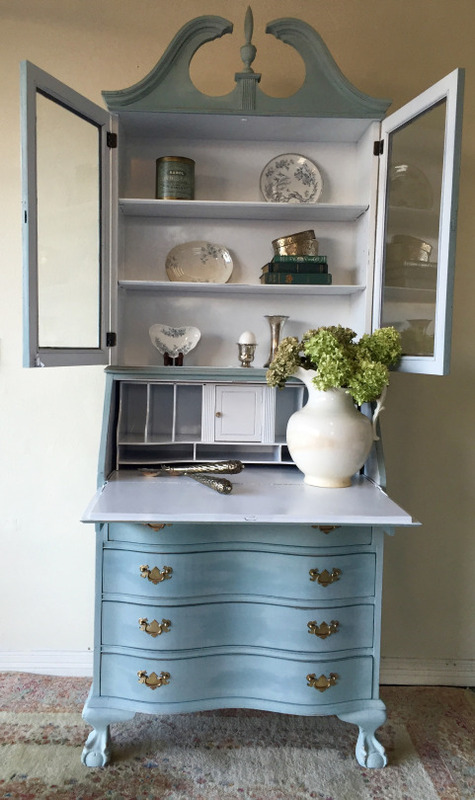 Love and chalk paint. I started by removing the tarnished hardware. Then I got to work sanding the old varnish. It was probably the easiest sand job I’ve done! It took all of about 20 minutes to get it down to the natural wood. That has got to be a world record! The pull was missing for the little door, and it looked as though Edward Scissorhands had once owned this piece! The inside got a fresh coat of white paint and a natural twine rope pull. 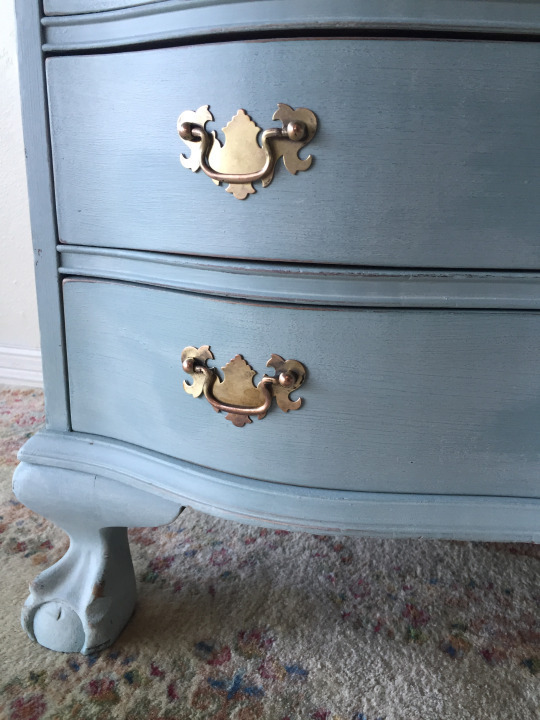 I added very light distressing after the paint was dry, just for a little added character. For the outside of the secretary, I went with a soft blue color, then added white glaze over the top to give the look of age. Did you notice the shiny brass hardware? I just love how the gold tone of the brass looks against the soft blue! The function of this piece is outstanding! 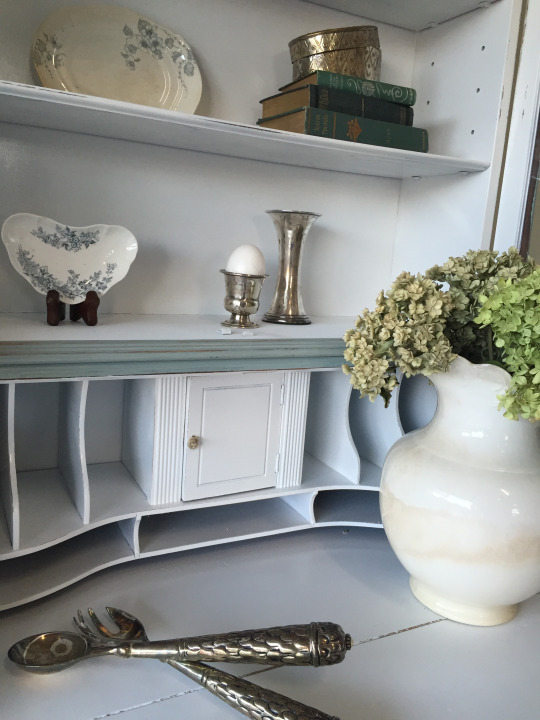 Hide your ugly mail in the drawers, and display your pretty things on the shelves! It’s the old fake-out! 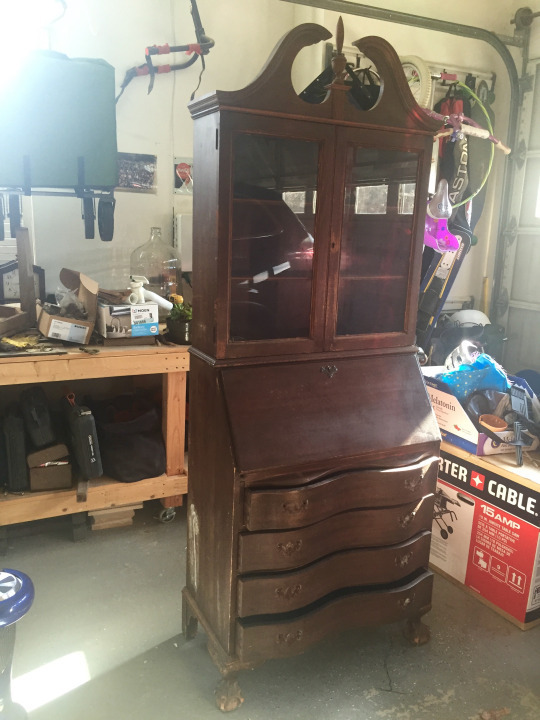 This secretary went from old, dark and drab to stealing the show! I’m so glad I took a chance on this fella! I can’t wait to get my hands on the next one!